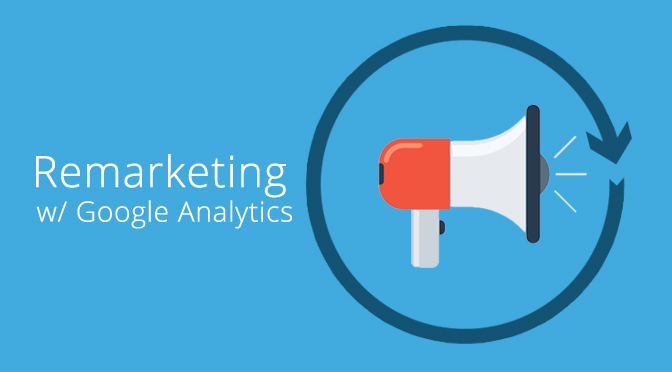 What is Google Analytics Remarketing? The Google Analytics Remarketing service, which was launched in 2012 by Google Analytics, is a tool for listing the users who previously visited your website and showing your relevant ads to them. One of the most important metrics for us related to digital advertising is the conversion rate. The GA Remarketing tool will help you to show the ads with accurate target to the users visiting your website and will increase your conversion rates. What can I do with Google Analytics Remarketing? Example 1: You can list the users who visited your website with “Samsung S4” word and derivatives in organic searches, but who did not buy a Samsung S4, and you can show Samsung S4 banner in the AdWords Display Network to these users. Example 2: You can list the users, who shopped from your website for an amount of 200 TL and more, and show a banner about your campaign to these users. Example 3: If you have a campaign for X Phone Operator, then you can show your ads to the visitors visiting your site with X operator service. Example 4: You can list users who have viewed your “X” page (may be your campaign or project page) on their first visit and displayed the form page during the same visit or next visit (may be Contact Form) and not filled out the form. A banner for filling out the form can be shown to these listed users. Important Note: Google Analytics Remarketing allows you to use your 30-day data. Another important rule is that the Remarketing list you created should contain more than 100 users. What is the difference from Google AdWords Remarketing? First of all, it’s possible to do some of the product targets you’ve seen above with Google AdWords Dynamic Remarketing. In order to use this tool, you need to send the product, category and brand information to AdWords Remarketing with parameters. But your software team has to spend extra time for this in order to use this tool. And this can be an obstacle for small and medium-sized brands. So, when should I use AdWords Dynamic Remarketing? For example, you have over 1,000 products you want to advertise, and you want to show banner advertisements to those who view these product pages, but do not buy. We recommend that you should definitely use “AdWords Dynamic Remarketing” if you are sure that you can cope with the integration workload. If you do not have any team yet to carry out the works you need for a software like Dynamic Remarketing, we recommend you to use Google Analytics Remarketing. What should I do to use Google Analytics Remarketing? 1. In order to be able to create a Remarketing list, you must be an administrator on your Google Analytics account, and your AdWords account must be linked to Google Analytics. 2. You need to turn “Display Ads Network” support feature “On” from your tracking information. After you make this change, the line starting with ga.src in your “Google Analytics Tracking” code will change. You will need to replace your existing Analytics code with this new code. In the next article I will describe the Google Analytics Remarketing types and how to create lists. We can help you as the SEM Transformation team if you want to get quick action and consultancy about the matter.